far more complex in a scene from "Docks of New Orleans" (1948). WEEKLY CHAT/FILM VIEWING: Castle in the Desert starring Sidney Toler. Please join us as we discuss this film LIVE as we watch it together via video tape or DVD! 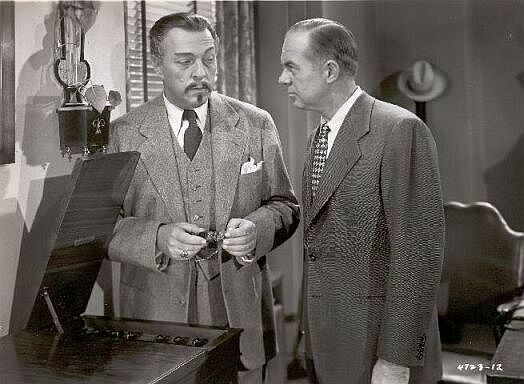 Warner Oland, who portrayed Charlie Chan in seventeen films, dies of bronchial pneumonia in Stockholm, Sweden (1938). WEEKLY CHAT/FILM VIEWING: Docks of New Orleans starring Roland Winters. Please join us as we discuss this film LIVE as we watch it together via video tape or DVD! WEEKLY CHAT/FILM VIEWING: Charlie Chan in Rio starring Sidney Toler. Please join us as we discuss this film LIVE as we watch it together via video tape or DVD! Earl Derr Biggers, the creator of Charlie Chan, is born in Warren, Ohio (1884). WEEKLY CHAT/FILM VIEWING: Black Magic/Meeting at Midnight starring Sidney Toler. Please join us as we discuss this film LIVE as we watch it together via video tape or DVD!